Montreal, January 16, 2018 – Anges Québec, the largest group of angel investors in Canada, is celebrating its 10th anniversary this year. For the occasion, the organization is launching Angels On Tour, a tour of 10 regions of Quebec to offer an almost free intensive workshop for innovative entrepreneurs as well as potential investors. The 4-hour workshop, titled “Mastering the Art of Talking to Investors,” will provide key tips and best practices to prepare entrepreneurs to choose the right time to seek financing, target the right investors, as well as to demystify often overlooked topics, including business valuation and the key elements of a perfect pitch. “There are many factors that influence the success an entrepreneur will have with its’ fundraising but knowing the investors you are talking to is definitely one of the most important, and often the most underrated ” points out Stéphanie Schwanen, Director of Communications at Anges Québec. This initiative stems from a finding by Anges Quebec that entrepreneurs lack the tools to prepare themselves to approach investors. “A common mistake entrepreneurs make is spending too much time talking about their product, their technology. Entrepreneurs must keep in mind that the investor often does not buy the product, but a part of the company in exchange for capital” adds Caroline Pelletier, Vice-President Screening at Anges Québec. 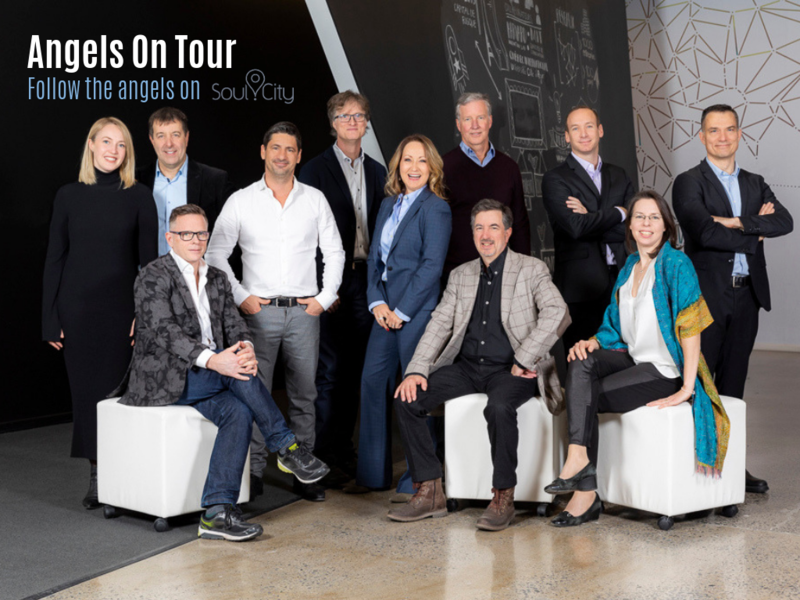 Thanks to this tour, in which some 20 angels member of Anges Québec will take part in, the organization also aims to demystify the role of angel to potential investors. “The benefits of becoming a member of a network like ours are great: the investor has access to a pool of diversified expertise, qualified and seasoned investors and profitable investment opportunities. We will take advantage of this tour to meet potential investors interested in learning more about our organization” said François Gilbert, CEO of Anges Québec. The Angels On Tour trajectory will be available on Soul.City, a company funded by Anges Québec, which has developed an application where the user lives an enhanced experience of discovering cities via an emotional platform, all over the world. The tour will be unveiled progressively via the application. “Soul.City is delighted to be part of the Angels On Tour initiative. Since our company was funded by Anges Québec, I can say that angels have an approach that is different from other venture capital funds, and I believe that every entrepreneur will benefit greatly from this workshop” adds Annick Charbonneau, CEO of Soul.City. To be informed of the tour dates, download Soul.City (avaible on iOS and Android) or subscribe to Anges Québec’s newsletter. Anges Québec is the largest group of angel investors in Québec. Its mission is to allow its more than 230 members to make profitable investments. The members of Ange Québec have invested to this date, over $80 M in the Québec economy, totalling over 210 investments in more than 100 innovating companies. Thanks to its professional development center, Anges Québec supports its members in their ongoing acquisition of new skills and knowledge inherent to investing.